Relocate to Houston | Talasek Builders, LLC. Relocate to Houston | Talasek Builders, LLC. Houston’s thriving economy is the product of a diverse mix of industries in the city including energy, aeronautics, transportation, medical technology, manufacturing, and many others. 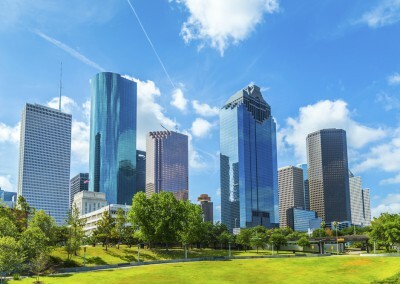 Houston is home to a vast number of large company headquarters, and more companies are transferring their core operations to Houston every year due to the low cost of living and favorable tax scenarios for businesses. Houston was ranked as the #1 city in America for job creation and its unemployment rate is well below the national average. The median annual pay for college-educated workers is $71,900, placing Houston as fourth among the 100 largest metro areas in America for annual salaries according to Forbes Magazine. In addition to generous pay rates, residents of the city enjoy the low cost of living perpetuated by low tax rates, no state income tax, and reasonable home prices throughout the city and surrounding suburbs. As with any growing city, the influx of new residents from around the country and the world has created a positive correlation with an increase in cultural diversity within the city. According to a 2012 study from Rice University’s Kinder Institute of Urban Research, Houston has surpassed Los Angeles and New York City as the most racially and ethnically diverse city in the United States. From its hip coffee shops to its vibrant art scene and impressive collection of professional sports teams, Houston has something for everyone! Houstonians enjoy mild winters and year-round “outdoor” weather allowing them to take advantage of over 38,000 acres of parks, green spaces, and bike trails throughout the city.